Since its founding in 1776, the city, shrouded in fog, has attracted thousands upon thousands of visitors. San Francisco is home to a number of architectural marvels, quirky residents, and enough attractions to keep even the fussiest of people entertained. Read on to find eight fun things to do when you visit the fantastic city of San Fran! The Golden Gate Bridge spans the Golden Gate, a one-mile-wide strait that connects the San Francisco Bay to the Pacific Ocean. It has been declared as one of the Seven Wonders of The Modern World by the American Society of Engineers and is popularly featured on numerous bucket lists. This federal prison based on Alcatraz Island in the cold waters of the San Francisco Bay housed some of America’s most difficult and dangerous criminals, such as Al Capone, during its years of operation from 1934 to 1963. Now, tourists can visit the island and tour the infamous prison for themselves, both in the day and the night. The cable car system in San Francisco is the last manually operated cable car system in the world. With three routes available to choose from, these cable cars have become an icon of the city and are part of the intermodal urban transport network that is operated by the San Francisco Municipal Railway. Pier 39, or Fisherman’s Wharf, is a popular shopping village that is home to an array of shops, restaurant, arcade, and sea lions! There are plenty of sights to see and is a great place to visit no matter who you are travelling with. The Walt Disney Family Museum is dedicated to the life and legend of Mr Walt Disney. The museum was formerly an army base and was founded by Lillian Disney Miller, daughter of Walt. You can follow through the life of this incredible man from start to finish, with the mission of the museum to inform the younger and future generations of the man behind Mickey Mouse, and to encourage them to persevere in pursuing their dreams. The Golden Gate Park is made up of 1017 acres of public grounds. It is home to the Conservatory of Flowers (which is closed on Mondays), a herd of Bison in the Bison Paddock and much much more! The park is ideal for those all important holiday shots and worth a visit to catch a break from the hustle and bustle of the city. 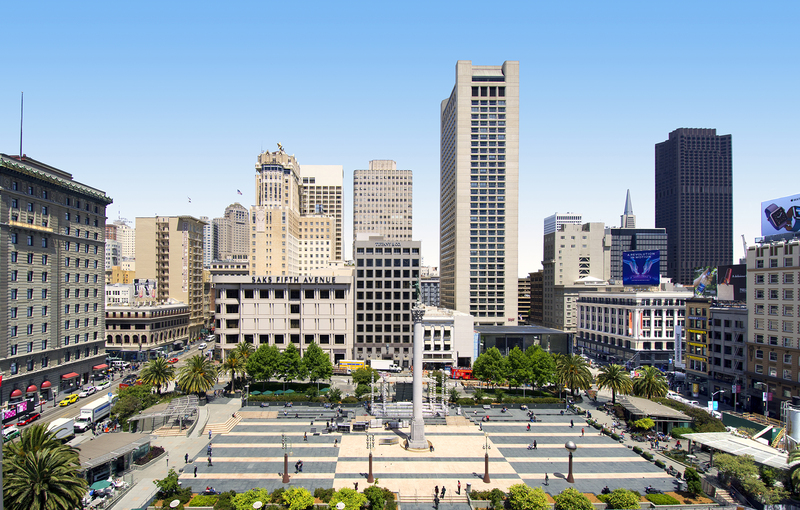 Union Square is the busy commercial hub of the city of San Francisco. There are many major department stores and hotels packed into the area, along with a number of upmarket boutiques, galleries, restaurants and areas for nightlife. The manual cable-car turnaround is based here at the intersection of Powell and Market streets which gathers many tourists every day. 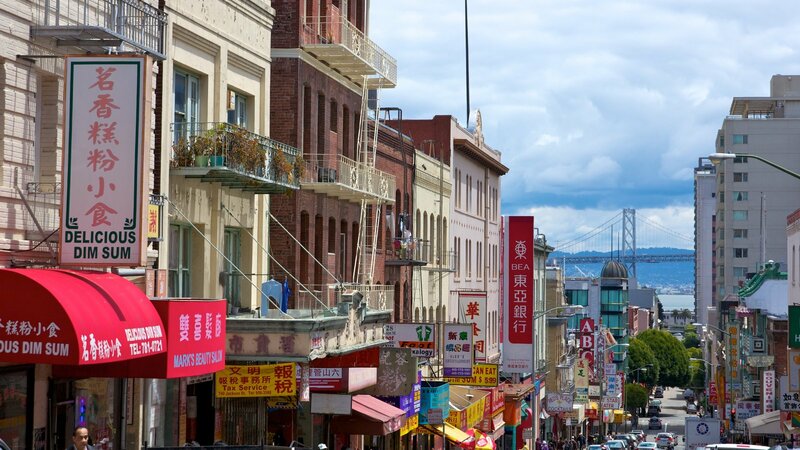 Chinatown is one of the oldest and largest of its kind in North America. Behind the Dragon’s Gate, you can find a variety of dim sum restaurants and other traditional eateries. You can also find herbalists, bakeries, souvenir shops and much much more. Whilst you’re here, why not visit the ornate temples or the Chinese Historical Society of America Museum?